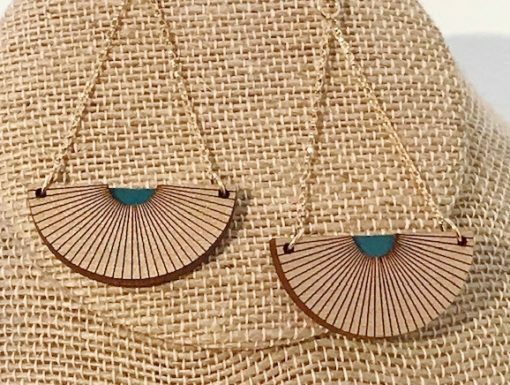 The Egypt earrings from Bird of Virtue are elegant, two-layer, half-circle chandeliers engraved on both sides, with metallic fronts and natural wood backs. The centers are hand-painted in blue. Dangling from geometric gold fill and finished on matching ear wires. 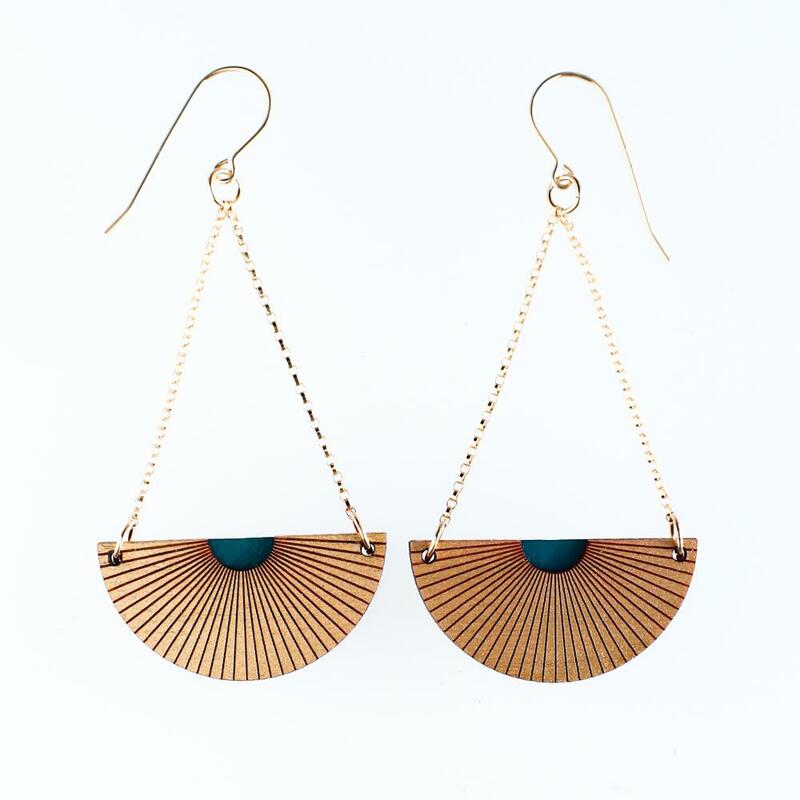 And the Egypt earrings are light as a feather! Wouldn’t Cleopatra be jealous? They measure 1 1/4” x 1/2”.